Since Netflix expanded to online streaming services in 2007, it has become a major part of society’s movie and TV watching culture. With households increasingly ditching traditional TV for streaming services like Hulu, HBO, Amazon Prime or Philo. In fact, the number of households that pay for satellite or cable is predicted to decrease 10 percent by 2021 according to emarketer. However, since being in college, freshman Haylie Douglas has seen the value of cable. “Recently I have been wishing I did have cable because I don’t know anything that is going on in the world,” Douglas said. 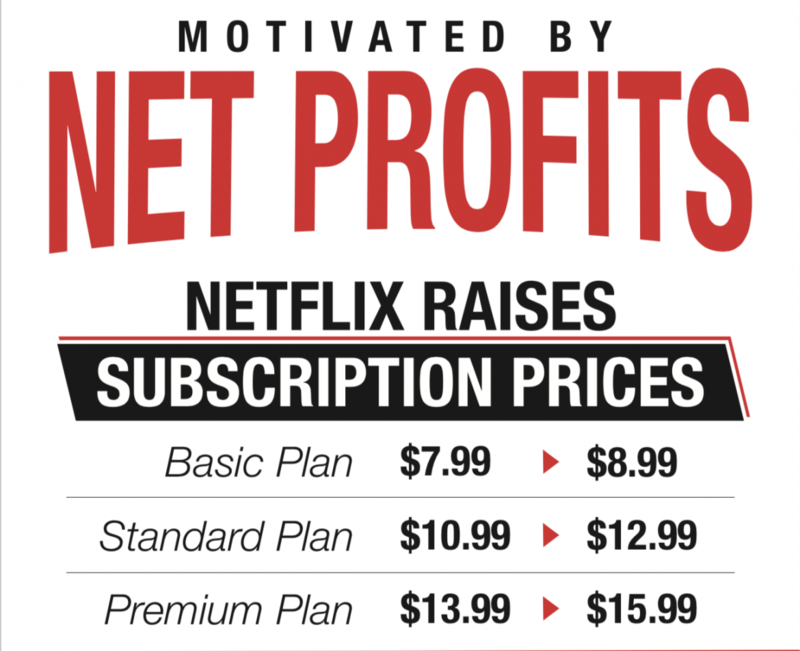 To cover the cost of this, Netflix is raising subscription prices for the fourth time since 2008. Junior Meliny Pond has been using Netflix since it was merely a DVD mailing service. When she found out about the latest price increase, she did not think twice about keeping her account because of how frequently she enjoys the original content. Senior Leah Hostetler has used a Netflix for about four years. Originally, she had the two-screen subscription, but when the price was raised in 2017, she switched to only having one screen. She believes millennials and younger generations are the reason for Netflix’s popularity.